If Mitt Romney had won the presidential election, insiders say, it’s not hard to imagine what he and his number two, Wisconsin Rep. Paul Ryan, would have been tackling on this very day. An extensive preparation plan dubbed the "Romney Readiness Project," pulled together by the GOP nominee’s team and no longer of any use, offers detailed insight into how ready he was to take the reins, the sources told NBC News. Romney and Ryan each had office space set aside for them at a transition office in southwest Washington, D.C., where former Utah Gov. Mike Leavitt led a team of hundreds of advisers tasked with crafting an ambitious agenda for the Republican’s first 200 days in office. Insiders describe a well-prepared transition that was ready to hit the ground running on Nov. 7, and begin the work of fashioning a Romney government. Leavitt was in Boston on Election Day, prepared to brief Romney if the GOP nominee proved victorious. "We built a great ship, and regrettably, in my view, we didn't sail. I think it would have been a crisp transition," Leavitt said in an interview with NBC News. "I got up every morning from the day he asked me to do this — not naively — assuming that we would be elected, and we needed to be prepared." Former Utah Gov. Mike Leavitt is seen in this June 23, 2012 file photo. The extensive and well-prepared operation resembled the inner workings of Bain Capital, the venture capital firm founded by Romney, according to multiple sources associated with the transition, who asked not to be identified to more candidly discuss the process. “In many ways, it felt like the West Wing,” one transition official said in praise of the professional environment. The Romney campaign had prepared for a victory on Tuesday, accidentally publishing their candidate's official transition website, which included a section on how to join the Romney administration. NBC's Brian Williams reports. 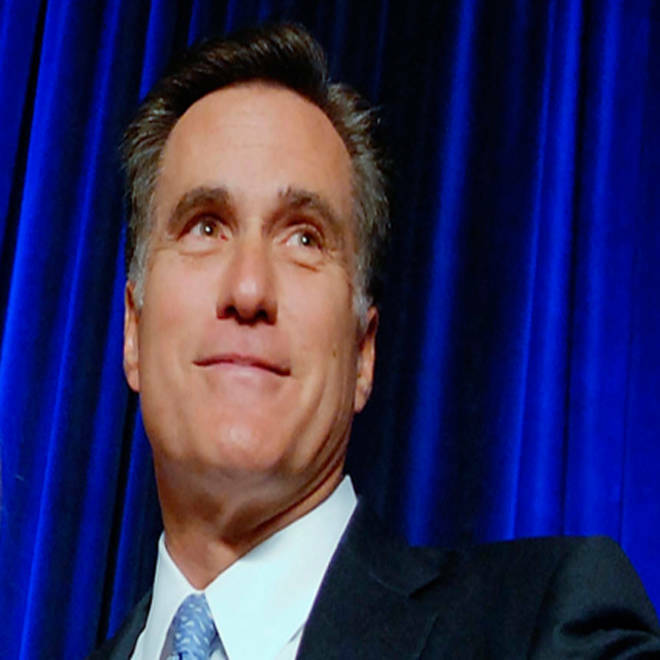 Romney was the first major party nominee able to take advantage of this law, and in June he selected Leavitt, who served as Utah governor while Romney headed the Salt Lake City Olympics, to lead the effort. Sources described Leavitt as having taken seriously Romney’s mandate to prepare a new administration. The former Department of Health and Human Services secretary told NBC News that he reviewed books and manuscripts to prepare for his role, in addition to speaking to individuals involved in transitions from the Carter through Obama administrations. The Romney transition was divided into groups that focused on specific areas of emphasis – the economy, foreign policy, education, for instance – to help shape policy for the early days of a Romney administration, as well as personnel. Among the plans for the transition included the formation of teams that would begin immediately working with government agencies to lay the groundwork for the new administration. There were “landing teams” prepared to go into government agencies two weeks after the election and begin the work of handing over to a Romney administration. Separate “beachhead” teams would then be deployed into those agencies immediately following the inauguration on Jan. 20. “They'd obviously thought about structure and process,” said one transition adviser. Additionally, plans included the crafting of an agenda detailing what actions Romney would take — mostly to follow through with campaign promises — beginning the Thursday after Inauguration Day. "We had the first 45 days of the administration scheduled," Leavitt said. "We felt there was a need for crisp and early action. We were literally writing executive orders. It was a federal government in miniature." According to Leavitt, many preparations involved assembling a menu of options for Romney to enact his plans for government or to make good on campaign pledges, like labeling China a currency manipulator or allowing the construction of the Keystone XL oil pipeline. Rep. Raul Labrador, Columnist Tom Friedman, Former White House chief of staff John Podesta, NBC News Chief Foreign Affairs Correspondent Andrea Mitchell, and GOP strategist Mike Murphy share their views on what the GOP needs to do moving forward. But Leavitt also emphasized that no decisions were ever made. The transition’s portfolio also included the early work of approaching potential candidates to head cabinet agencies, along with prospective nominees for other positions that would require Senate confirmation. Those candidates were also vetted at a very preliminary level. The end result was a list of 10 candidates for each cabinet post, which was pared down by Leavitt and two other campaign confidants: Beth Myers, Romney’s former chief of staff who led the search for his vice presidential nominee, and Bob White, a longtime Romney friend and associate. The hope was to have Romney name many of his top cabinet nominees by Thanksgiving – this week, in essence. But, according to one transition source, Romney was never made privy to these rosters of would-be administration officials. The former Massachusetts governor was busy setting about the work of campaigning for the presidency. "To my knowledge, there were no conversations between Gov. Romney and anyone about cabinet positions," said Leavitt, who explained that he opted to exercise tight control of these deliberations once campaign outsiders sought information about the process. "The number of people who knew whose names were on the pared-down lists was probably about four people." Romney tapped Leavitt at a point in the election cycle that was comparable to Obama’s selection of John Podesta to lead his transition project four years earlier. Podesta served as White House chief of staff under Bill Clinton. In this archive video from before the election, Mike Allen discusses Romney campaign transition preparations on "Morning Joe." Because of term limits, America will have a new president in 2016, and a transition of some kind will be necessary. Said Leavitt of the experience enabled by the new law: "One of the best things the law did was that it created an expectation that people would plan. Because you can't just become president of the United States in 77 days, and do it well."